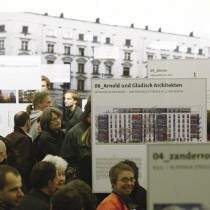 “Auf.Einander.Bauen_Buagruppen in der Stadt” presented, in 2007, the very first self-initiated co-housing projects in Berlin, for which the city is widely known today. 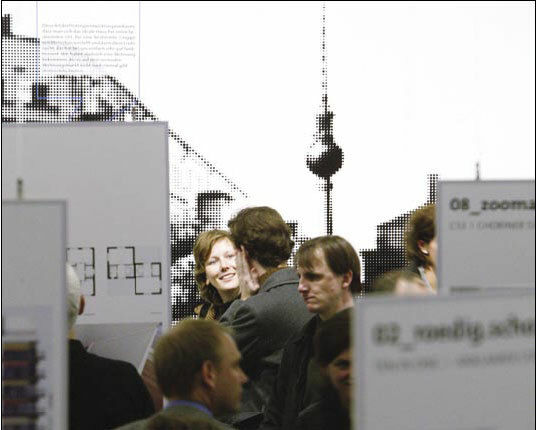 The exhibition, publication and discussions helped to ignite this movement by bringing architects, potential clients, politicians and decision makers (banks) together. 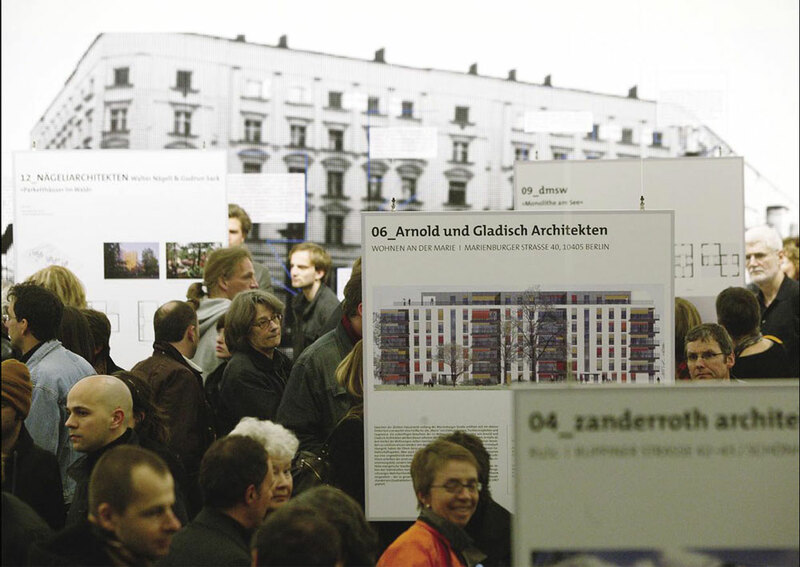 „Auf.Einander.Bauen“ makes a case for co-housing in the inner-city. The high quality, individual architectural solutions of co-housing models present new potentials for a sustainable urban development. Through the process of building together, the residents develop a sense of identity with their house and neighbours and become actively involved in the community. Co-housing is an alternative that makes living in the inner-city viable for families with children and other people with special needs. 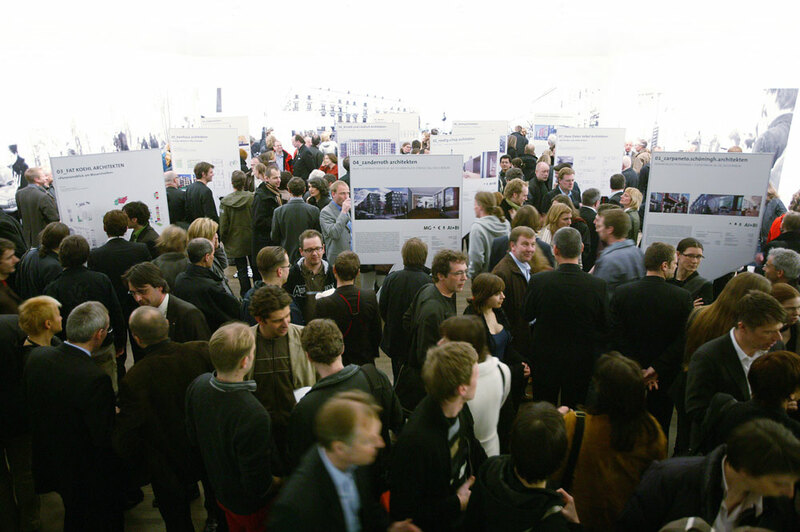 For the exhibition and publication Auf.Einander.Bauen, twelve best-practice projects in Berlin were analysed, that stand for the spectrum of residential buildings that have been produced in recent years by co-housing groups. 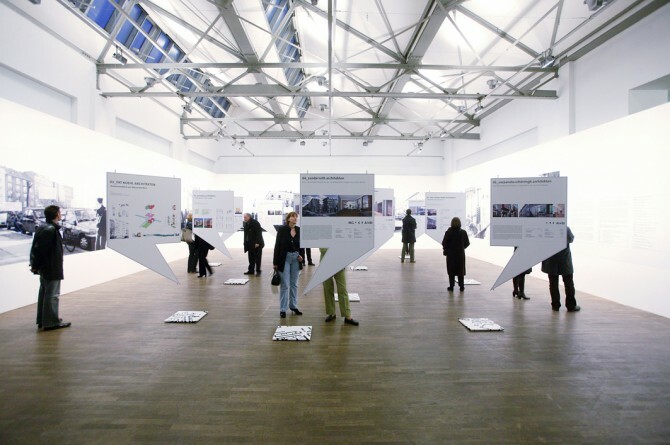 How does co-housing function? Which legal forms can work? Who has been building what kinds of projects, in what area of the city? And what are the problems that need to be considered? All of the projects present convincing, high quality architectural solutions. 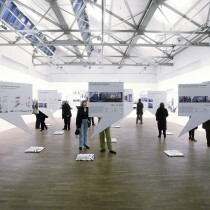 The exhibition was opened on March 30th 2007 by the Senator for Urban Development to Berlin. 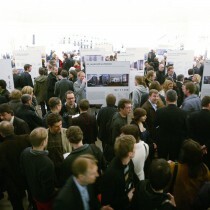 Over 800 guests came to the opening and the exhibition was seen by over 3000 visitors. 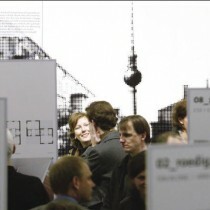 SYMPOSIUM: “auf.einander.bauen in Berlin -in Berlin -Co-housing projects and potentials” with experts such as Berlin politicians, architects, co-housing moderators as well as clients. Not only best practice projects were presented but the potentials that co-housing offers for inner-city living were discussed. POLITICAL DISCUSSION: An informative presentation was given and discussion held on the topic of co-housing with members of the building political fraction of the senate, planning department heads and regional leaders.